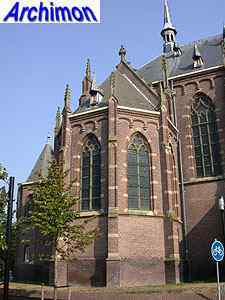 In 1895 the protestant church of Schagen was destroyed by fire. 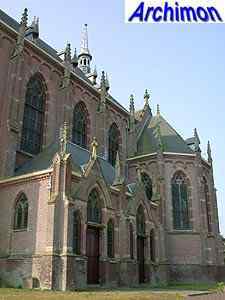 It had been a three-aisled pseudo-basilica in Gothic style. 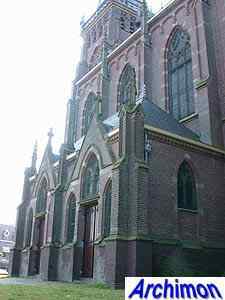 Soon work started on a new church. 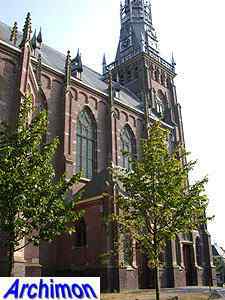 Unusual for that time is that was chosen for a neo-Gothic design. 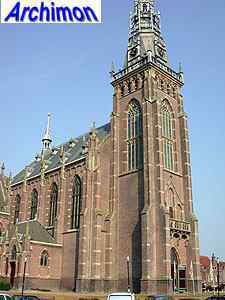 Neo-Gothicism had been the ultimate catholic style ever since the catholic hierarchy had been reinstalled in 1853, and this church in Schagen is a very rare example of a protestant church built after that year in a fairly historically correct neo-Gothic style. 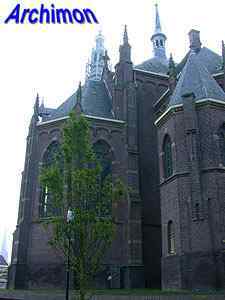 Unlike the reformed church in Neerijnen (G), for example, which was built in 1865, still in an early neo-Gothic style. 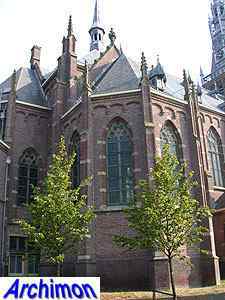 Responsible architect was J.A.G. 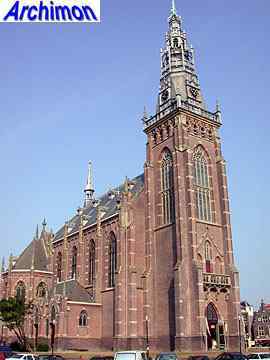 van der Steur (1865-1945), who is best known for many profane buildings and only built a few churches. 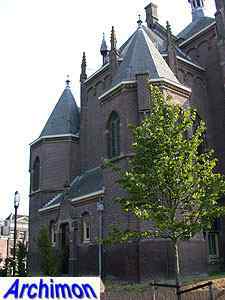 Many details on this church show that this architect was more familiar with neo-Renaissance architecture, the most important style for protestant churches in the second half of the 19th century. 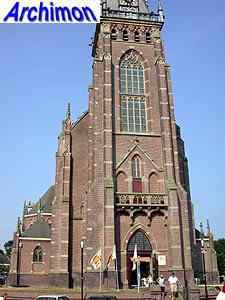 The tower is standing at the east-side of the church. 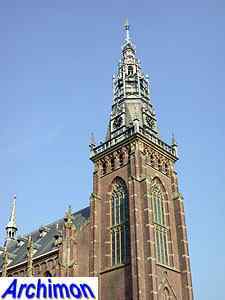 The spire is in neo-Renaissance style and was inspired by the spire that was added to the old church in 1619. 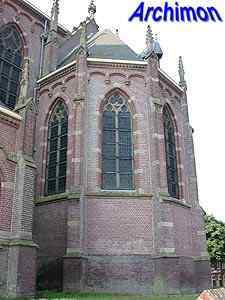 On each side of the one-aisled nave is a porch with two entrances and a polygonal chapel. 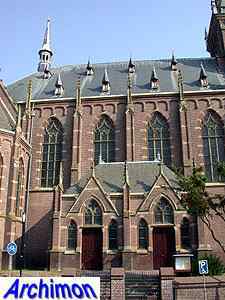 At the west-end of the church is a choir-like space, flanked by two polygonal turrets.